SOUTH Africa’s Minister of Trade and Industry, Rob Davies has welcomed the ratification of the Agreement establishing the African Continental Free Trade Area (AfCFTA) by the country’s parliament. 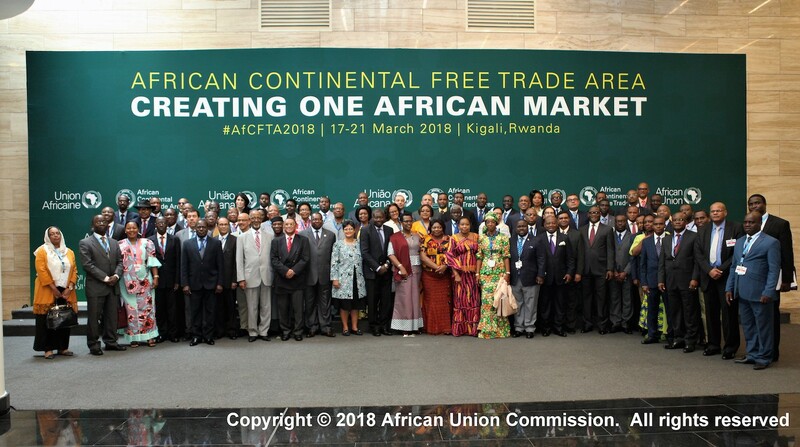 The AfCFTA was launched during an Extra-Ordinary Summit of African Union Heads of State and Government in March this year in Kigali, Rwanda. South Africa signed the Agreement during the 31st Ordinary Session of the Assembly of the African Union on 1 July 2018 in Nouakchott, Mauritania. Thus far, 49 countries have signed the Agreement and Kenya, Ghana, Rwanda, Eswatini, Chad, Niger, Sierra Leone, Uganda and Guinea Conakry have deposited their Instruments of Ratification. Minister Davies says South Africa is expected to deposit the Instrument of Ratification during the 32nd Ordinary Session of the Assembly of the African Union in February 2019. The Agreement will enter into force once twenty-two Member States have deposited their Instruments of Ratification. ‘The AfCFTA comprises 55 African countries and, once entered into force, will constitute the largest Free Trade Area globally. As a flagship project of the African Union’s Agenda 2063: The Africa We Want, the AfCFTA aims to build an integrated market in Africa that will see a market of over 1 billion people with a combined GDP of approximately $3.3 trillion.’ says Davies. The United Nations Economic Commission for Africa estimates that the AfCFTA will increase intra-Africa trade from the current 10-16 percent to approximately 52 percent by the year 2022. Davies adds that the AfCFTA is anchored on the development integration approach, which places emphasis on market integration, infrastructure development, and industrial development; in order to boost intra-Africa trade and support the continental development imperatives of sustainable economic growth. ‘In support of these objectives, the AfCFTA Agreement covers both goods and services under Phase I and will include Investment, Intellectual Property and Competition under Phase II of the negotiations,’ says Davies. He adds that the African Continental Free Trade Area will create a single set of rules for trade and investment among all African countries and provides legal certainty for traders and investors through the harmonisation of trade regimes.